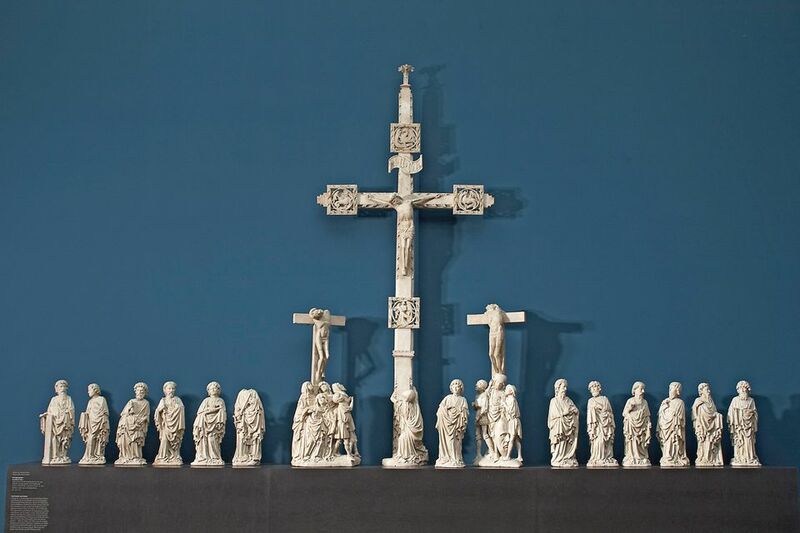 Conservators at Frankfurt’s Liebieghaus museum are restoring the Rimini Altar, one of the best-preserved, largest and most exquisite late Medieval sculptural ensembles made from fragile alabaster. One of the highlights of the Liebieghaus, the altar (around 1430), which gets its name from the church Santa Maria delle Grazie in the Italian city of Rimini, shows Christ on the Cross flanked by six apostles. It was made in France or the Netherlands in the International Style by the so-called “Master of the Rimini Altar”. The work is expected to take three years and was made possible by a grant from the Ernst von Siemens Kunststiftung. 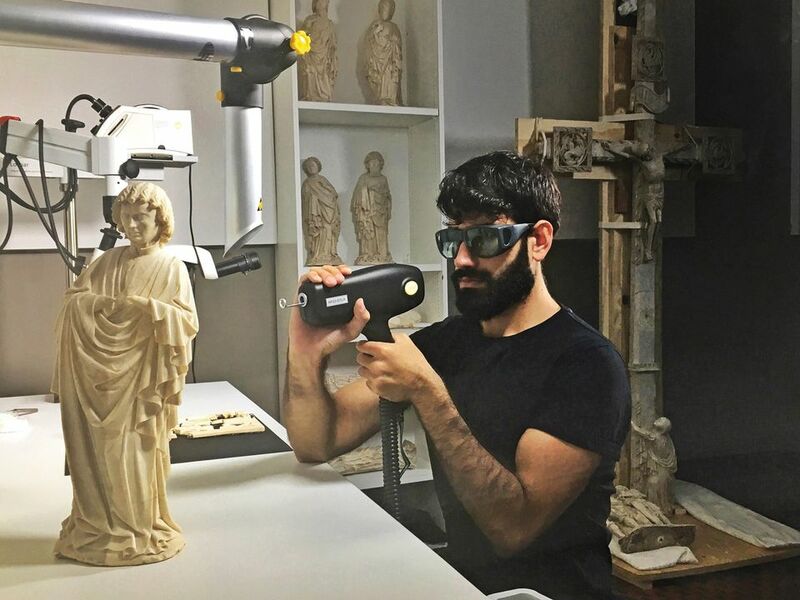 The Liebieghaus is collaborating with the Louvre in Paris to use new laser technology that allows a precise analysis of the stone—a kind of DNA-mapping that will enable experts to pinpoint the alabaster’s origin and how it was formed. The museum is also working with the Prado in Madrid, which has experience in using a water-based gel made from agar-agar (a substance obtained from algae) to clean alabaster, which is not water-resistant. Spain is a centre of expertise in handling alabaster because it has a large number of sculptures made of the stone. The Spanish restorer Miguel Gonzalez de Quevedo Ibanez will assist on the project. The restoration will take place in a workshop in the museum so visitors can watch the treatment except for when lasers are in use.